SAN JOSE, Calif., July 25, 2011 – Cassandra Lim of San Ramon, Calif. and Brian Kincher of Livermore, Calif., who both train at West Coast Training Center, won the senior elite mixed pairs title at the 2011 National Acrobatic Gymnastics Championships July 25 at the San Jose Convention Center in San Jose, Calif. Lim and Kincher scored a 28.524 in the combined competition to win senior elite mixed pairs all-around national title, coming from behind to secure the victory. The pair’s three routine total, 84.575, includes a 27.850 balance score from Saturday’s competition and a 28.201 dynamic score from Sunday’s event. Click here to watch a clip of their winning performance. 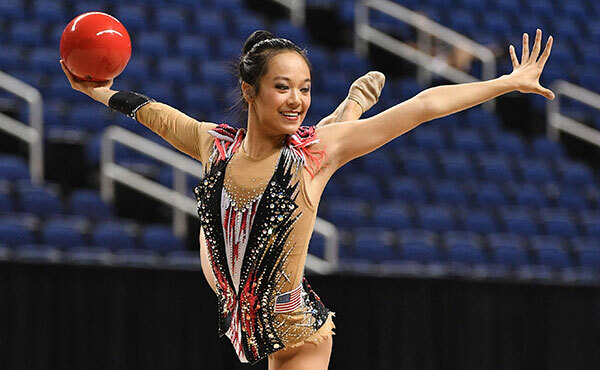 Melissa Gong of Perris, Calif. and Ryan Ward of Riverside, Calif., both of Realis Gymnastics Academy, finished second with a 83.930, while Kelianne Stankus of Riverside, Calif./Empire and Dylan Maurer of Fontana, Calif./Empire rounded out the top three with a 75.180. Both national titles and national team berths were on the line at the championships. 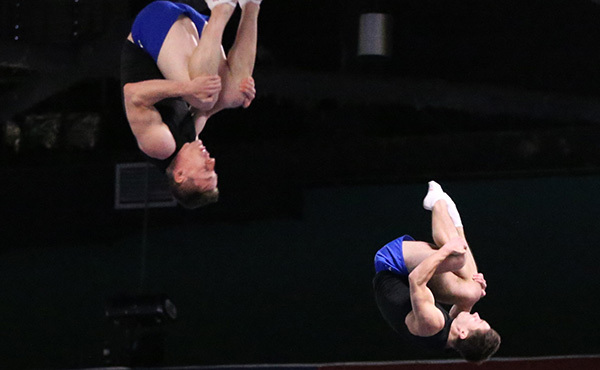 The U.S. acrobatic national team will be announced Wednesday at the championships. Results from the competition will also be used to help determine next year’s World Championships team. 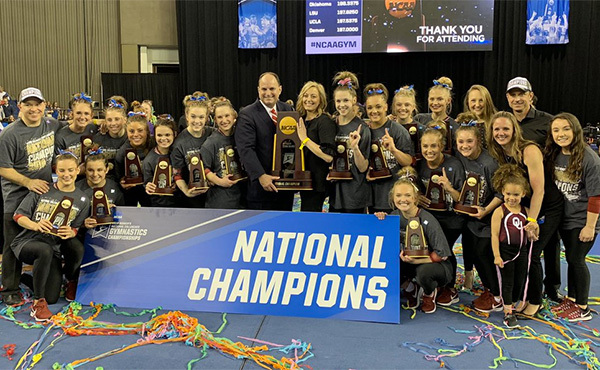 The championships, which include over 500 athletes competing in Junior Olympic levels 5-10 and junior and senior elite, continue through Wednesday, July 27. Tickets are on sale now at the San Jose Convention Center. Ticket prices for the event are: single-day tickets – 6 years of age and under -free, ages 7-13-$13, and adults-$26; and five day pass –6 years of age and under-free, ages 7-13-$42 and adults-$84. In recognition of Visa's long-time support of USA Gymnastics, Visa is the preferred method of payment. 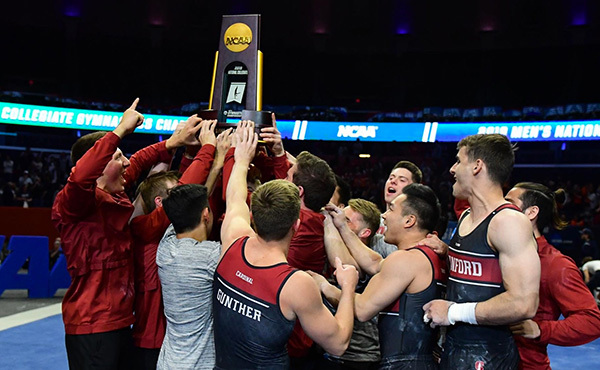 As a longstanding partner with USA Gymnastics, the San Jose Sports Authority is pleased to welcome the Acrobatic Gymnastics National Championships to the Capital of Silicon Valley. San Jose has a successful history with gymnastics, having staged the 2007 Visa Championships, 2008 Pacific Rim Gymnastics Championships, 2009 Trampoline and Tumbling Junior Olympic National Championships and the 2004 U.S. Olympic Trials for rhythmic gymnastics and trampoline. The city will play host to the 2012 U.S. Olympic Team Trials - Gymnastics June 28-July 1 at the HP Pavilion at San Jose. Acrobatic gymnastics combines the beauty of dance with the strength and agility of acrobatics. Routines are choreographed to music and consist of dance, tumbling, and partner skills. At the elite level, each pair or group performs a balance, dynamic and combined routine. Pyramids and partner holds characterize the balance routine, while synchronized tumbling and intricate flight elements define the dynamic exercise. An acrobatic gymnastics pair consists of a base and a top. A women's group is comprised of a base, middle and top partner, while a men's group has a base, two middle partners and one top partner. Based in Indianapolis, USA Gymnastics is the national governing body for gymnastics in the United States. Its mission is to encourage participation and the pursuit of excellence in the sport. 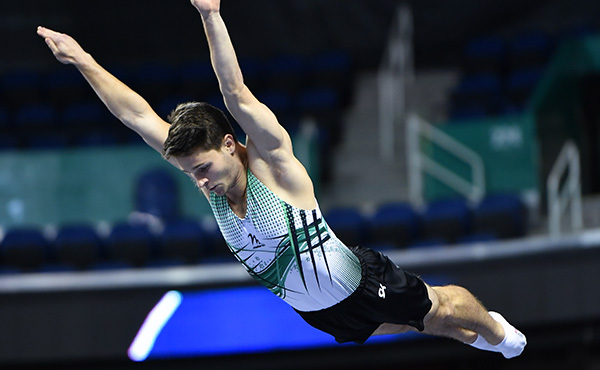 Its disciplines include men's and women's artistic gymnastics, rhythmic gymnastics, trampoline and tumbling, acrobatic gymnastics and group gymnastics. 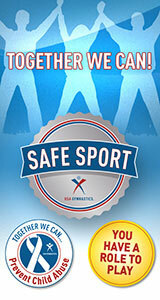 For more information, log on to www.usagym.org.